• Though his name is not truly known, Fans call him Daihodo Sanshōuo, Literally meaning Great Wave Riding Salamander. It is unknown what his real name is but it has been shortened to Daiho, Meaining Great Wave. • Many fans presume that the great Salamander, Daiho has the element Fire like his summoner Hanzō and its cousin in species the toads and lizards. This theory has not been proven though. 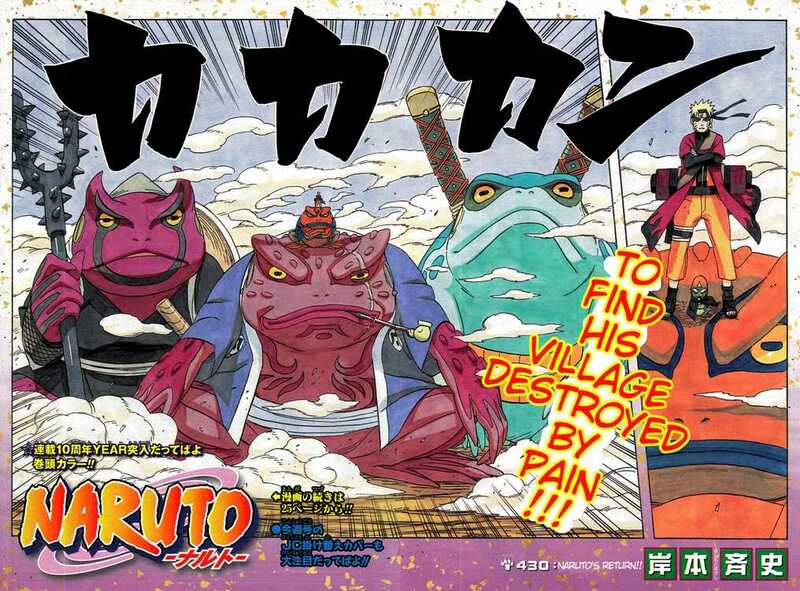 A back up to the theory is that Jiraiya had burns after the battle with leaf village in the Great Ninja Wars, though it is very possible that he could of been burned by Hanzō's fire attacks. • In Naruto chapter 369, Jiraiya notes that Daiho is able to summon tsunami's, this theory is backed up as a massive wave exploded behind him in the battle. As well as the feild was covered in large puddles, though it is possible all of this was caused by raind. About the Summon: Though not very much is known about the Summon besides the fact that he was seen in the battle of the three Sannin in the Great Ninja Wars. Hanzō is always seen riding on top of the summons head, and As noted by Jiraiya it was Hanzō's personal and ultimate summon. In all the flash backs and memory of Hanzō he is seen with his Salamander, Besides the instance with the 'treaty' with nagato, Though he was seen on the side Hanzō was not on him. Later the next day as Hanzō and Danzo kidnapped Konan, Hanzō's summon was not seen anywhere enar him that day. Daiho was said to be able to use slight acid like Katsuyu, but it is known he had Water release and also a form of Sticky Water. Battle with the Three Sannin: During the Third Great Ninja Wars, Hanzō was said to be the strongest ninja in the world. Being able to summon his master summon, he easily took down armies and was also easily top of the ninja world. Seeing as how Hanzō only had the summon Daiho, It is possible that he is strong enough to take down All three of the Sannin's summons; Gamabunta, Katsuyu and Manda. 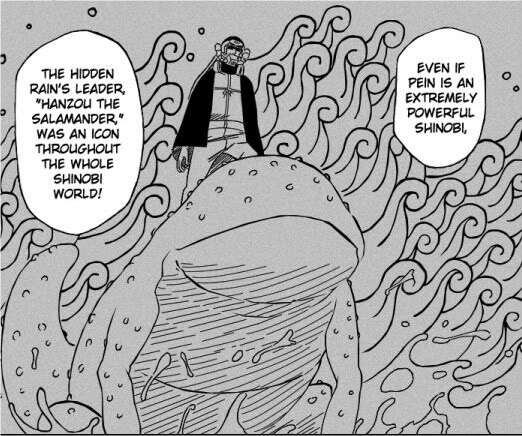 Using a special chakra gathered in its body, The Great Salamander, Daiho creates a large supply of water gathered in his body. Forcing the water into his mouth, The Great Salamander releases a powerful bullet of water spinning as i shoots at the target, striking them hard and easily crushing them.